Somehow I grew up with the love for books. I don't know if this came from hours of both parents and grandparents reading to me or if my imagination just needed to be fueled by others. There are times I get lost in a book because of the story. Those are the ones I hate to put down and it is almost heart wrenching when they end. I know I am not alone. There are many "others" like that out there. 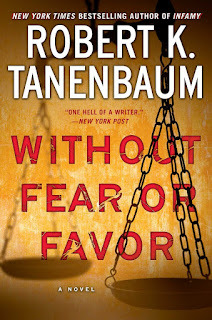 Without Fear or Favor takes the reader on a thrilling hunt for justice. We have seen too many cases go public where fairness and liberty were excluded because of some flare up to appease people and hasty decisions to arrest which backfired. Injustices of any kind are a travesty. These might be highlighted in Without Fear or Favor. (just a hint) You might be inclined to think the book takes you through current American social problems. You will not want to put it down. Tanenbaum's stories capture the reader and are fast paced with surprising twists. Without Fear or Favor will not disappoint, especially if you like thought provoking substance. Robert K. Tanenbaum's books are chock-full of thrills and pulled from his experiences. How do I know this? After reading Without Fear or Favor, I had to read more. The author has a remarkable background and phenomenal career. 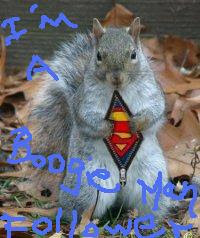 He spoke to me over the phone for an interview. I could not have been more stoked! An article reflecting many of the conversation highlights was reported on Law Enforcement Today. This post will not be a repeat of that, so you might want to tune into both to get the scope of all the exciting elements. His stellar career and life accomplishments are astounding and reflect his justice warrior personality. How many people do you know get involved with that many high profile cases and some of which occurred during significant U.S. social and political events? It's rare. And that expertise is invaluable. Tanenbaum wants those who commit crimes to be held responsible. Furthermore, he represents strong moral values in his profession while advocating for the justice system to provide due process and to afford the same opportunities to all-whether indigent or wealthy. He and his colleagues have been pioneers in the legal system before Miranda v. Arizona existed. By the way, you might want to read up on that case. So it would be very obvious Tanenbaum's legal mind and work has been and still is very valuable to our justice system and greatly admired. He was very diligent in seeking details and the truth in its entirety. I only wished I had been able to take some of his courses or work with him in the justice system. 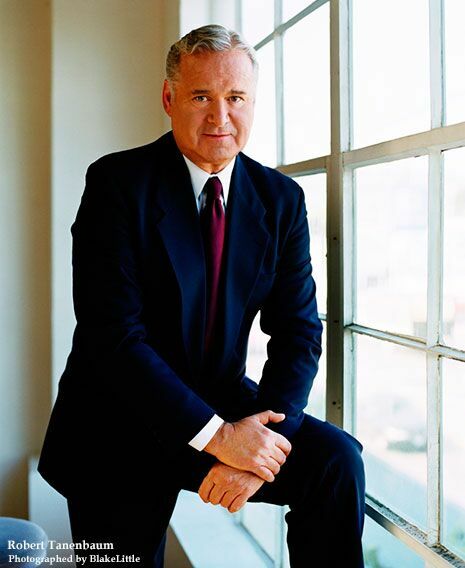 The legal procedures and processes surely improved so much through Tanenbaum's work. He believes in searching for the truth and that truth comes from various aspects, even the defense. I find this to be fact. 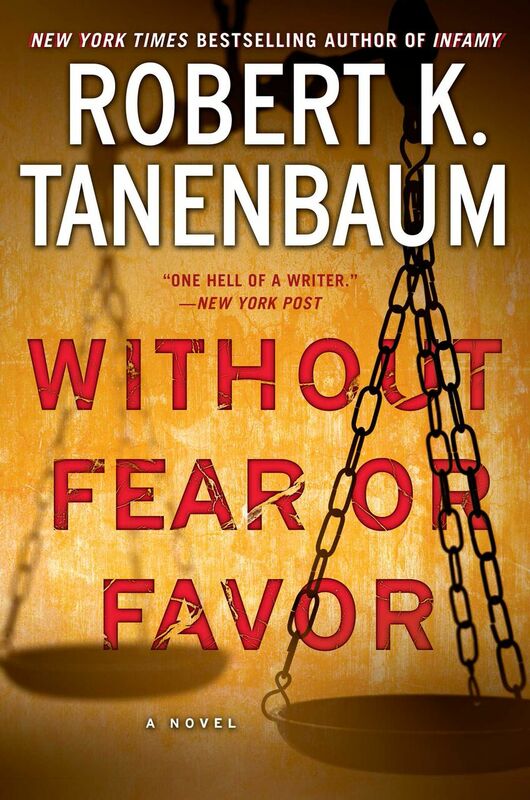 Tanenbaum says the truth should be found and justice should be done without fear or favor. I encourage you to peek at his background, but really dig into his writings. They represent values. They have depth. It seems today values and what is right gets lost in certain cases and it is within all of us to keep the justice system pure from political and personal agendas. It is a system we rely on for our moral and social control. These are important things to note, especially when the variables hitting it today come from all different directions and endanger the purity of justice. Every component of the system should strive to keep it impartial while also protecting it from toxicity. Tanenbaum said, "The justice system reflects our character as a nation." That statement is so true and resonates with my thoughts and beliefs. Do you agree? It was also refreshing when he spoke with candor. He expressed the media has been complicit and the false narratives are hurting our country. In fact, they are a catalyst to the division we see and the social unrest which plagues our nation. Specific examples were brought up regarding the conflicts with the Baltimore area. Marilyn Mosby, who was fast to charge officers in the Freddie Gray case, used the podium to grand stand for her agenda. The city was filled with protests, political pressure, and false narratives from the media. Additionally, there was racial disparity felt between the citizens and officers. Whether it was actual or perceived does not matter. It was there in some form. The media fueled the problems in Baltimore. The protests and political pressures built up and suddenly officials were struck with the feeling of urgency to quiet the masses. But you can't rush justice. Investigations must be complete as well as comprehensive. You can't stop with some of the facts, you must seek them all. The officers who had been formally arrested were later found not guilty and the remainder of the officers were not charged. Now Mosby is faced with several civil lawsuits. Freddie Gray paid the ultimate price. Lives were ruined. The city was labeled and viewed with distrust. Careers were destroyed. Where are we now? Are we learning from these travesties of justice? And this wasn't the first case. We had Ferguson and others like it before that. Tanenbaum instilled the importance of a prosecutor to stay apolitical and remain steadfast to the work authorized for them to conduct. In fact, he shared his perspective that prosecutors should have very few press releases and remain free from using the legal system as a "political vent". I truly have learned things from Robert K. Tanenbaum. I have learned to always grow. Strive to do better. He reminded me to be better. You can always do and be better than you are. He inspired me to fight for the truth and to hold steadfast to my values. "The search for truth matters most," echoes in my mind all the time. It is something I always knew and went after, but saying it out loud and advocating for it makes it bigger. I encourage you to pick up a copy of Without Fear or Favor. You might want to add more of Robert K. Tanenbaum's authorship to your list after that. I guarantee you will enjoy the books and find substance in the stories! That's a good take, not JUST on the book, but on the VALUES that seem to be found IN the book (as well as in life). Gonna be worth a read for THIS Robert...heh. Tanenbaum has been a favorite of mine for many years. Great review. I am inspired to go back an read some more of Tanenbaum's books. The few that I have read were very entertaining. He's one of those people who after reading his bio, leave me recognizing how little I have accomplished in life. I am amazed by people that manage multiple career and personal achievements and still have time to write 30+ books.